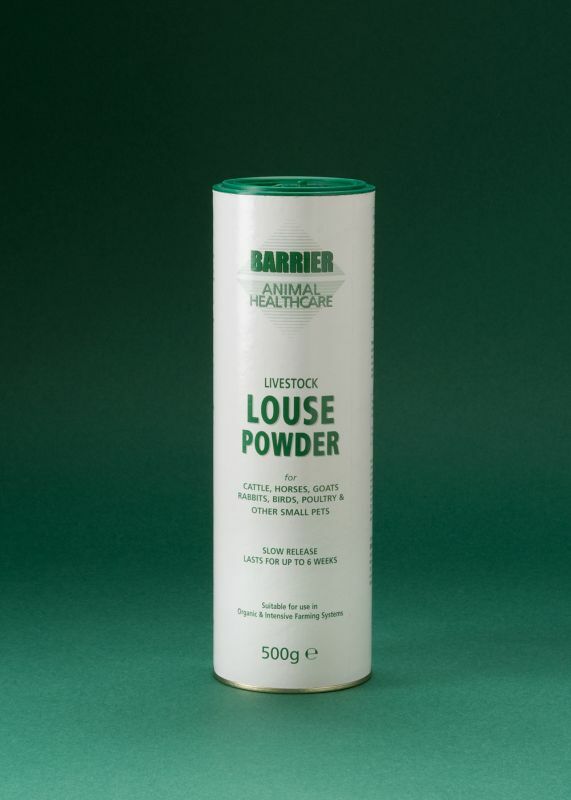 Our unique formulation of Livestock Louse Powder contains a safe-carrier that does not cause carcinogenic effects. Designed to be applied directly to all animals it is suitable for use in organic farming systems, as it falls into the exempt category of products which use only plant oils as active ingredients, as listed in Annexe IIB (Pesticides) of Council Regulation (EEC) No 2092/91 (as amended). It successfully rids animals, including Cattle, Horses, Goats, Rabbits and other small pets of both Sucking and Biting Lice; which are normally dealt with separately, and will help to prevent reduced growth rates, which can result from Lice infestation. Fully HSE Approved - Licence No. 8712.: Full HSE Approval - Licence No 8712. In accordance with the Biocidal Products Directive, regulations require any product which holds itself out as any form of repellent to secure an approval and licence number from the Health & Safety Executive (HSE). This approval requires the active ingredient (Ai) to be listed on the label together with the amount of Ai being used. Barrier Animal Healthcare secured the necessary approval and the licence number 8712 for this product.